“ Excellent and efficient service. The guys at Medlock Gulf fix what needs to be fixed and on time. They gladly gave a 2nd opinion when one of the chains told me I needed a caliper when I didn't. Great to have an excellentn and local mechanic to turn to. Oil, antifreeze, transmission fluid, power steering fluid, brake fluid, and batteries, both standard and hybrid. All old parts go to metal salvage facilities. 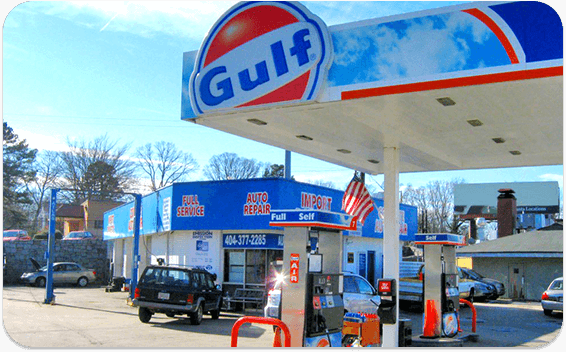 Since 1973, our full service gas station and repair shop has been offering the best quality auto repair service in town. We fix it all! We make sure all of our customers are 100% satisfied with their experience.